1. We are manufacturer,so we have the price advantage. 2. 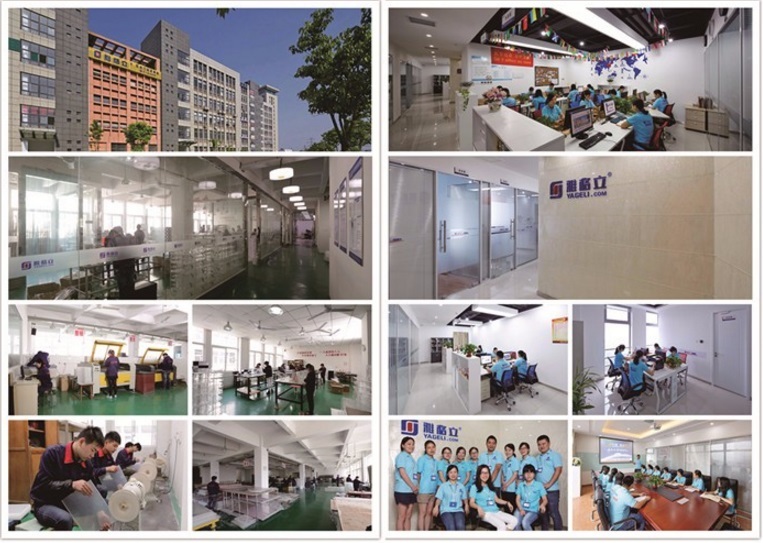 Our factory established in 1999,we have 17 years production experience. 3. We do use 100% new imported acrylic material,so products are high clear and strong. 5. 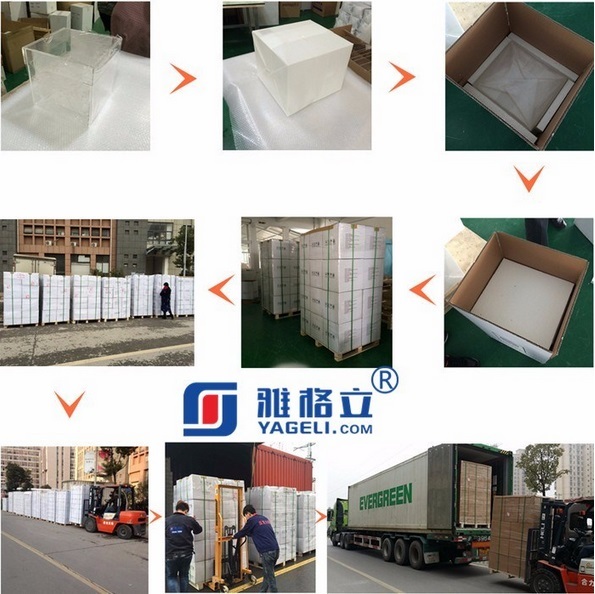 Strong and safe packing,products cannot be easily broken. 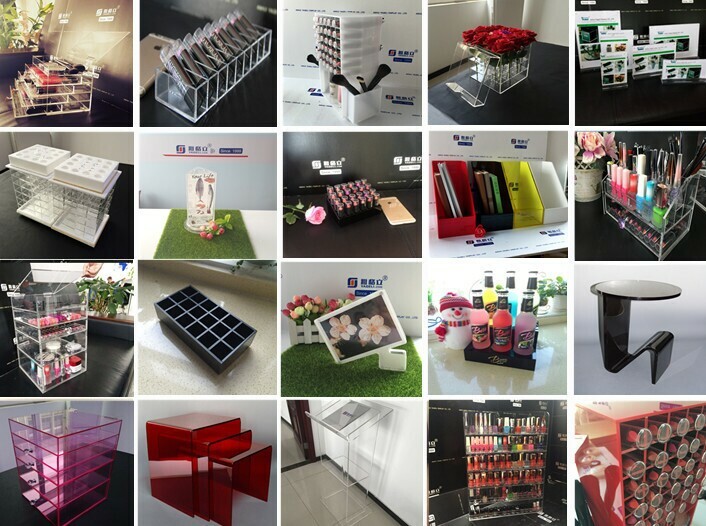 Company Name: Anhui Yageli Display Co.,Ltd. Add my whats app(+8613721085134),i will give you a prompt reply! Bulk Order: Because all of our products are customized, so we have no inventory, usually our delivery time is 25-40 working days. Payment ≤ 2000USD, we'd like to receive the whole amount in advance becasue of handling charges. Payment ≥ 2000USD, 40% T/T in advance, balance before shippment, take pictures for confirmation. Contact us if you need more details on Acrylic Makeup Organizer 5 Drawers. 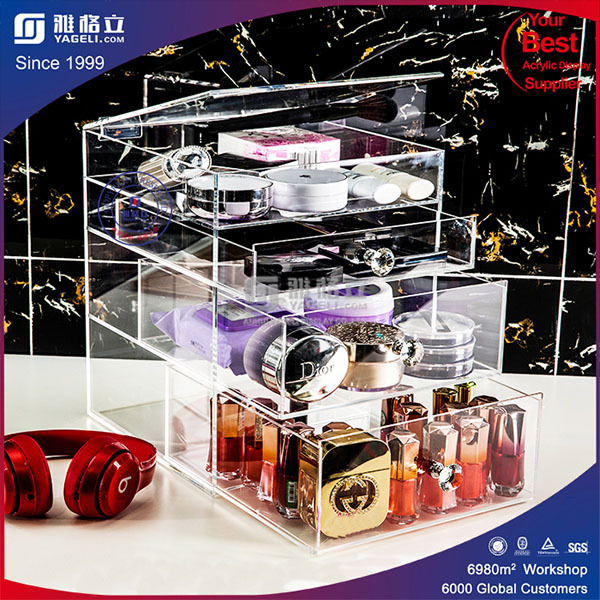 We are ready to answer your questions on packaging, logistics, certification or any other aspects about Acrylic Drawer Storage Organizer、Makeup Organizer Box Cosmetic. If these products fail to match your need, please contact us and we would like to provide relevant information.